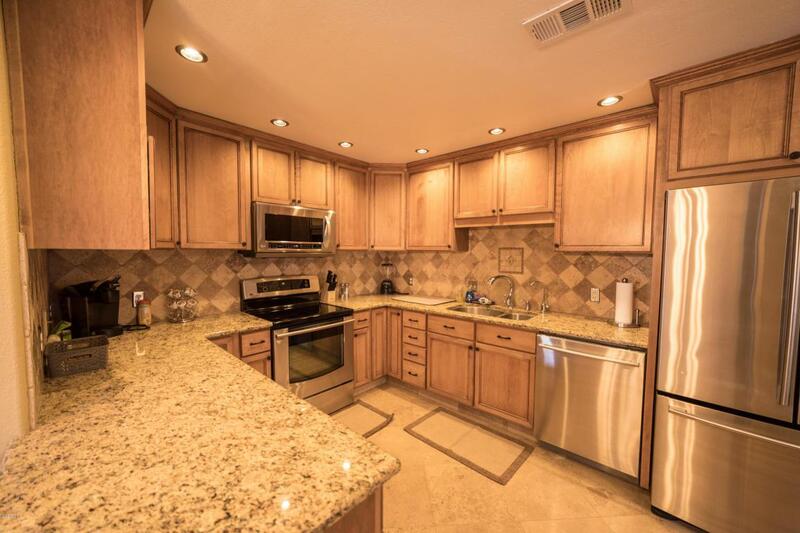 Highly desirable 2 bedroom + office/ 2 bathroom Scottsdale Condo! Located in the gated Villages North. Great split floor plan with open living room showcased by a custom fireplace. Sliding doors off the living room and master to a private covered patio. Travertine flooring in all living areas and clean carpet in bedrooms/office. 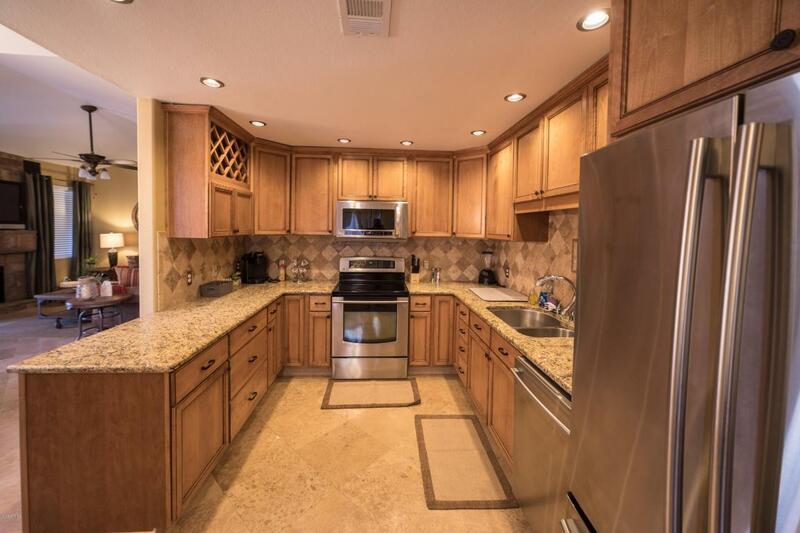 Kitchen is everything you want and need. 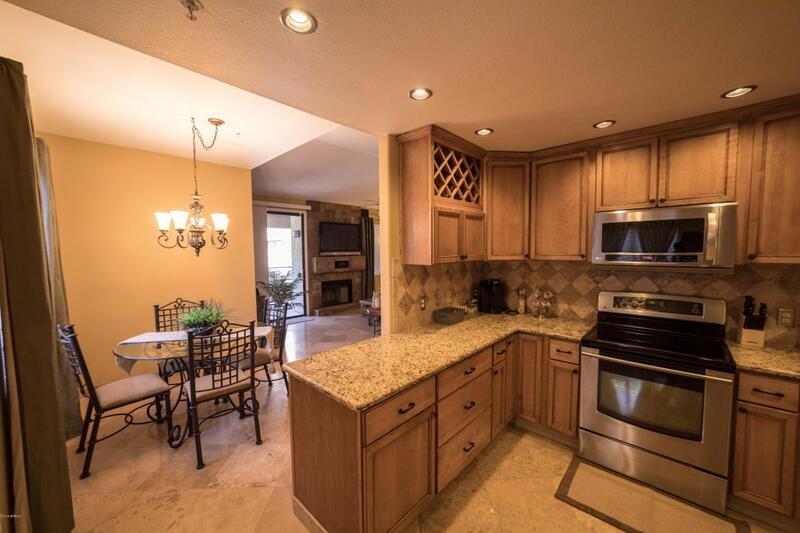 Custom cabinets, granite countertops, and stone backsplash and R/O system. Also equipped with newer SS appliances. Condo also has 2 NEST thermostats give the owner the ability to cool different zones. Perfect for a winter lock and leave residence or for a full time resident. 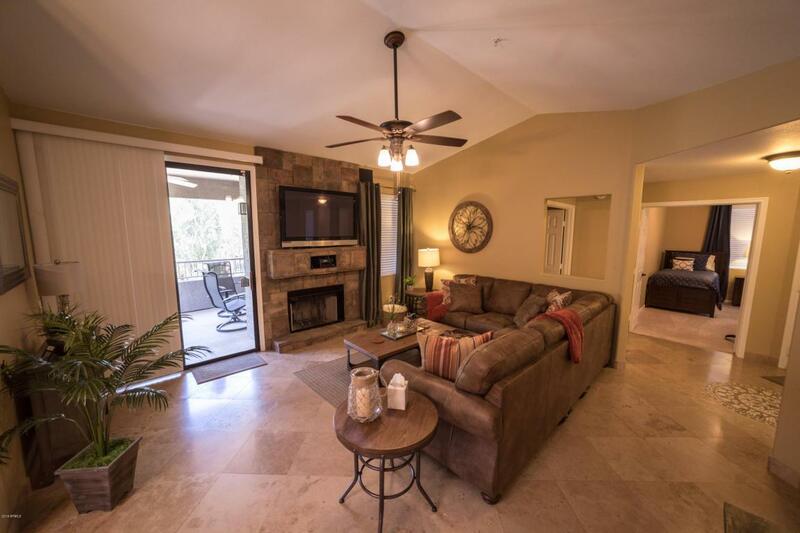 Walkable to community parks, AJ's, and other great amenities! Listing courtesy of The Marsh Partners. © 2019 Arizona Regional Multiple Listing Service, Inc. All rights reserved. All information should be verified by the recipient and none is guaranteed as accurate by ARMLS. The ARMLS logo indicates a property listed by a real estate brokerage other than Brett Tanner Home Selling Team | Keller Williams Realty Phoenix. Data last updated 2019-04-25T17:11:40.71.